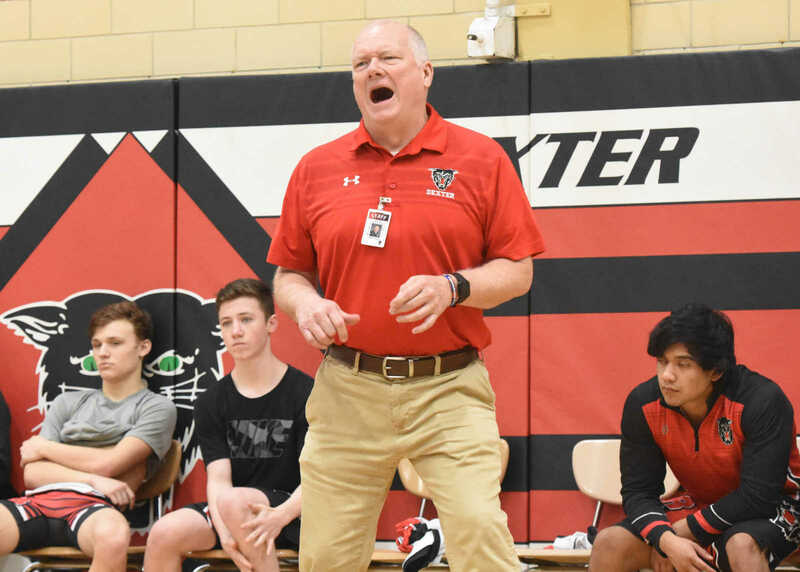 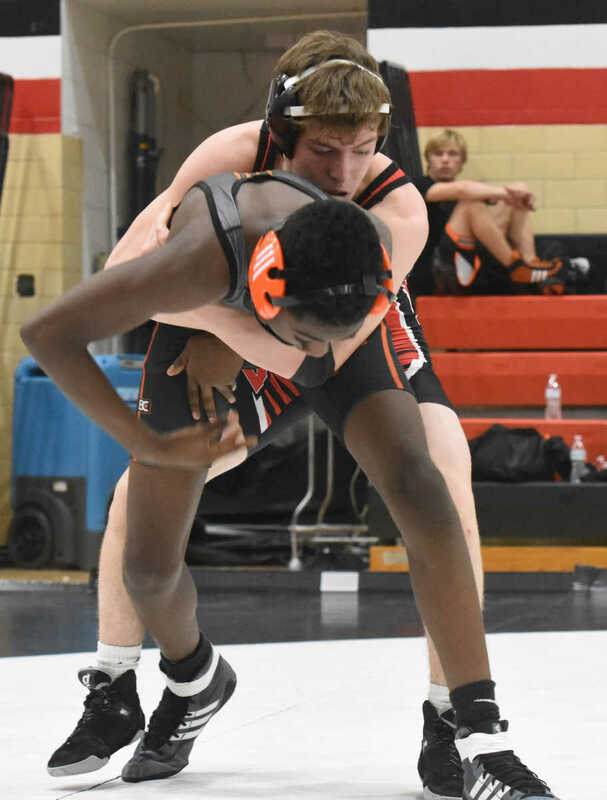 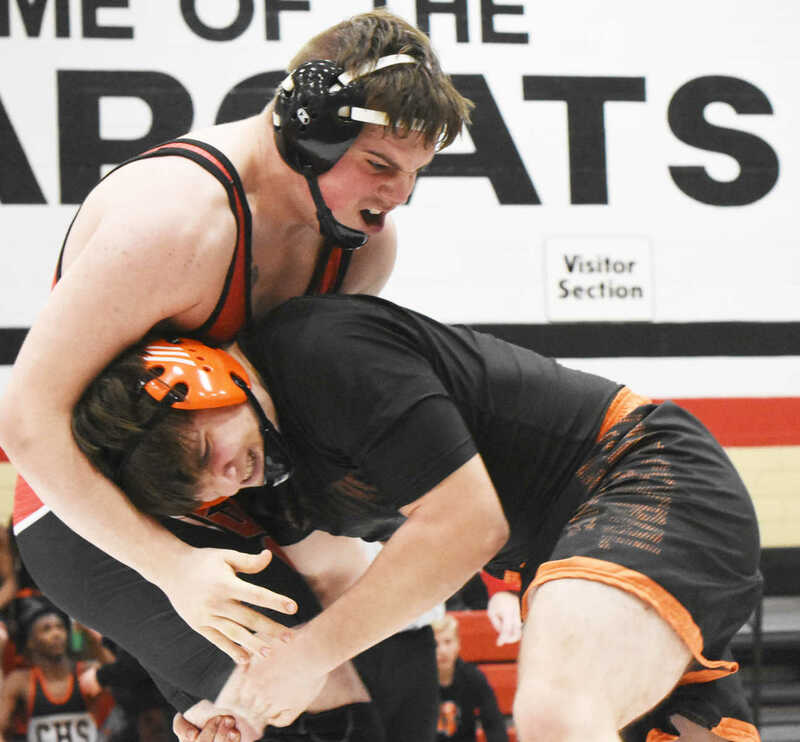 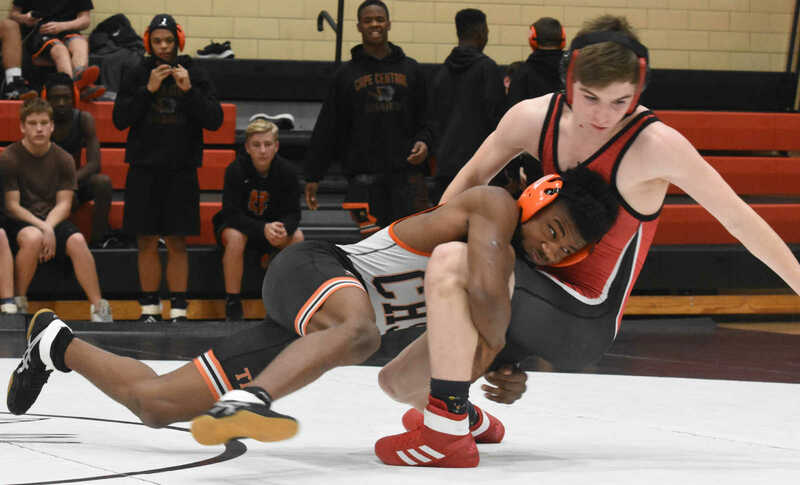 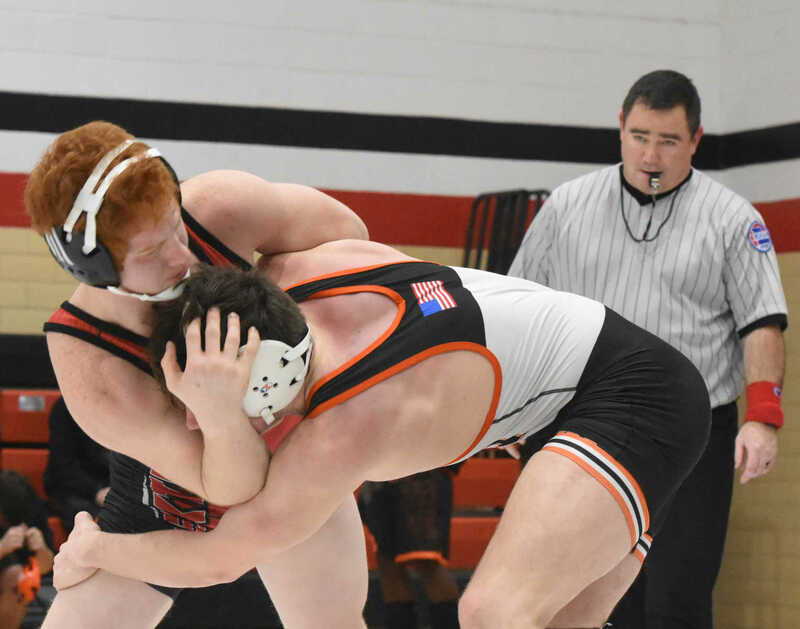 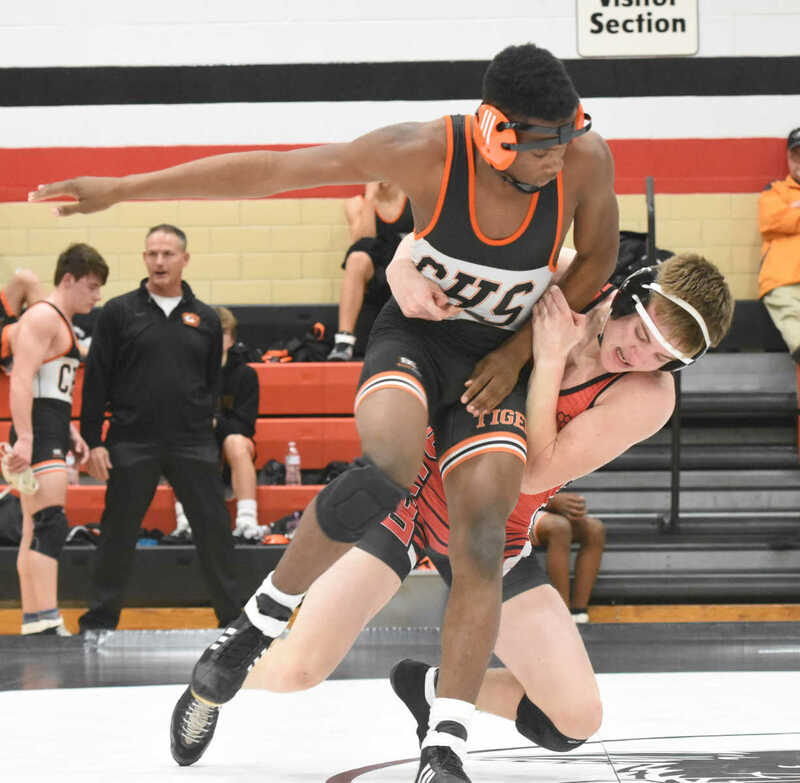 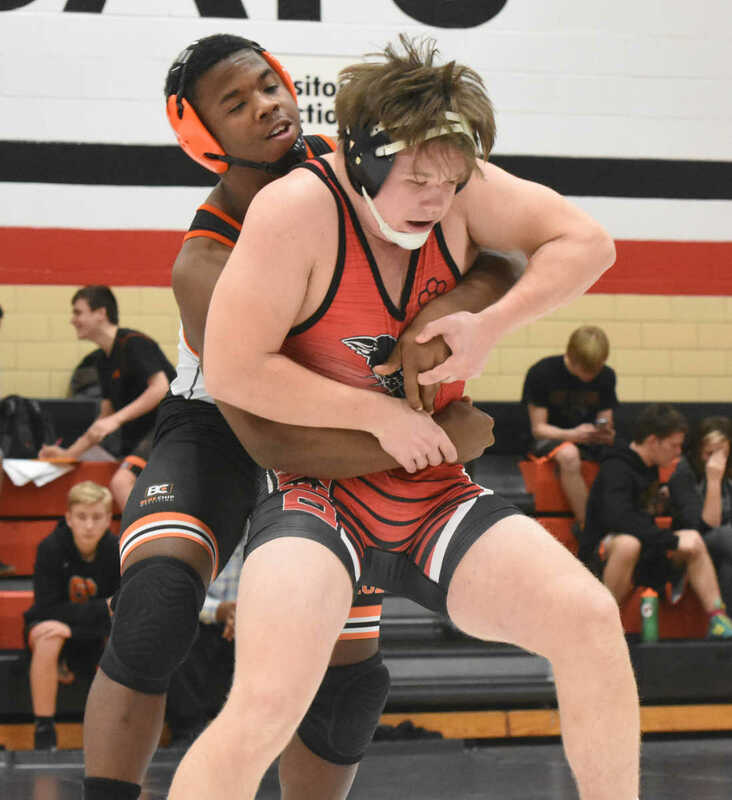 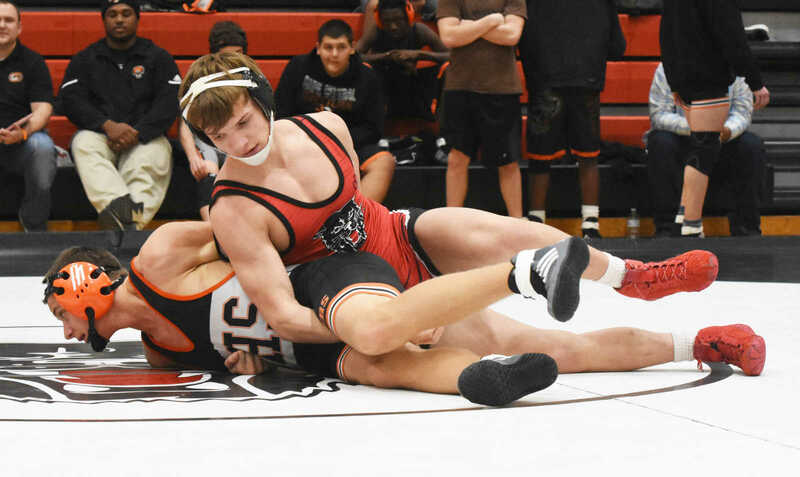 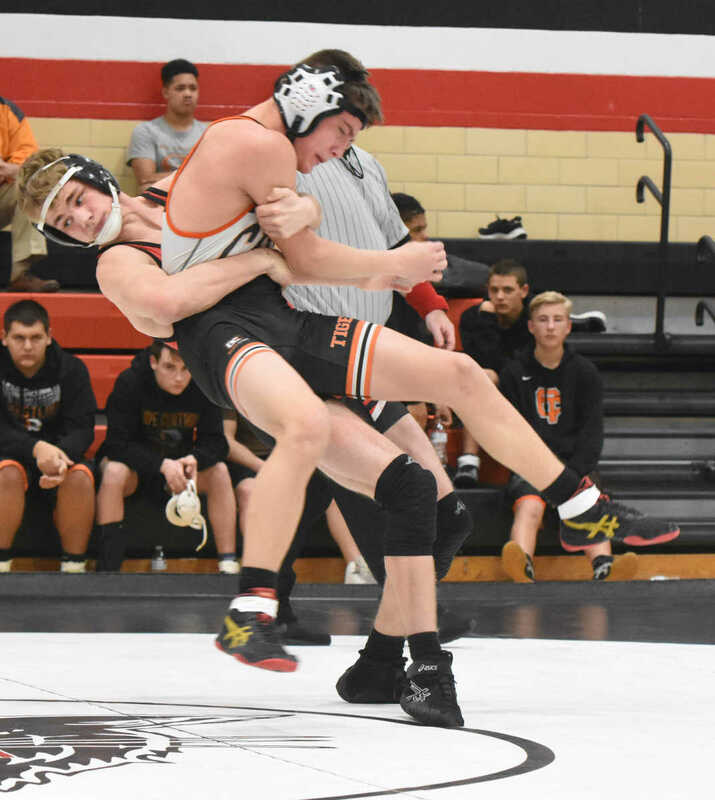 The Dexter Bearcats hosted the Cape Central Tigers in a four-team wrestling match Tuesday, Feb. 5, 2019, at Dexter High School. 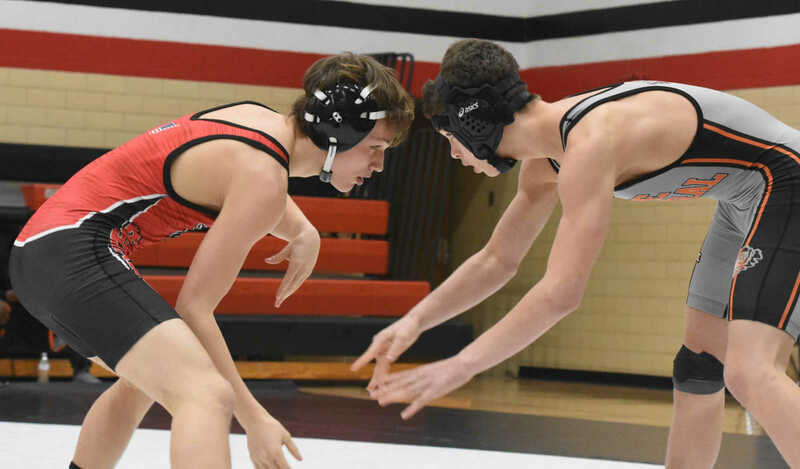 Kennett and Notre Dame also participated, and Dexter's seniors were honored between matches. 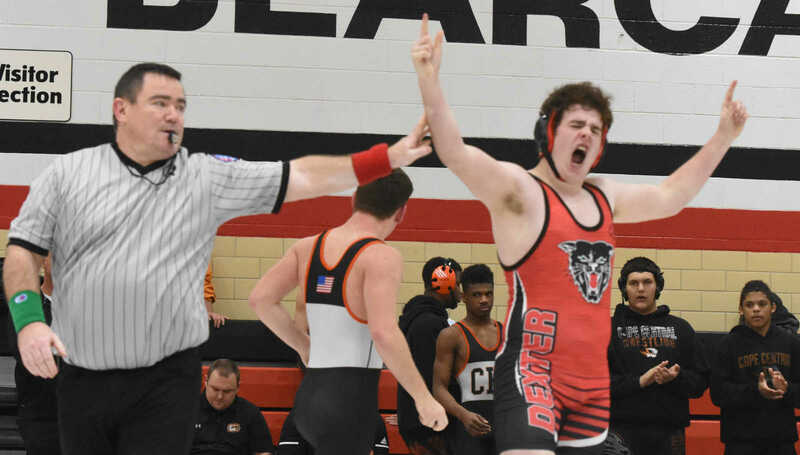 Dexter's Parker VanSlyke (right) celebrates after winning the 170-pound weight class over Cape Central's Dean Scheller on Tuesday, Feb. 5, 2019, at Dexter High School.